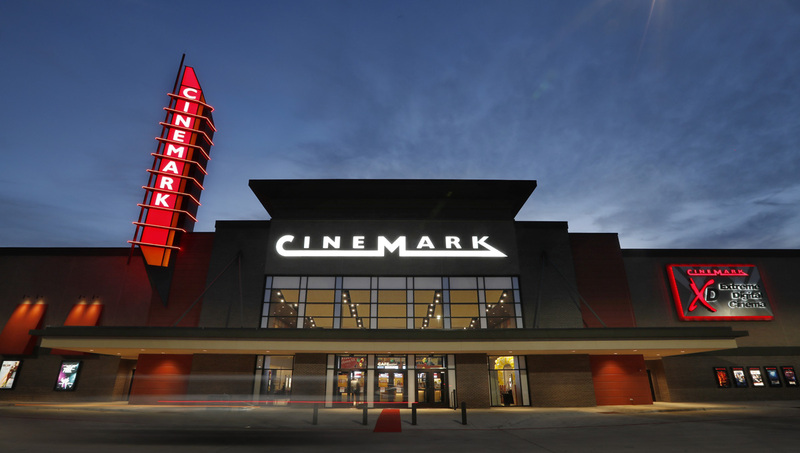 Plano, Texas (April 11, 2019) – Cinemark Holdings, Inc., a leader in the motion picture exhibition industry, today opened a brand new 14-screen theatre located at 1701 North Hardin Blvd. near the intersection of Highway 380 and Hardin Blvd. just north of Dallas in McKinney. The multiplex includes an XD auditorium with an immersive wall-to-wall screen and enhanced sound system. All auditoriums offer reserved seating and feature Cinemark’s Luxury Lounger recliners. Tickets are now on sale at www.cinemark.com. A Cinemark XD auditorium – the No. 1 exhibitor Premium Large Format (PLF) in the world, featuring state-of-the-art picture and sound quality; Cinemark Luxury Loungers – electric-powered, plush, oversize recliners with footrests, swivel trays, cup holders and heat-controlled seats; Reserved seating with online, kiosk and app ticketing capabilities; 4K digital projection powered by Barco projectors and RealD 3D capabilities in several auditoriums; An inviting lobby that features a self-service concession stand with a variety of food and beverage options including freshly popped popcorn, Coca-Cola Freestyle fountain drinks, Starbucks coffee, Pizza Hut pizza, beer, wine and frozen cocktails; A Starcade complete with a variety of fan-favorite arcade games, and; Special discount pricing for Senior Mondays, Discount Tuesdays, students and active military. To get the most out of the entertainment experience at Cinemark’s newest theatre, moviegoers can sign up for Cinemark Movie Club, a unique monthly movie membership program that offers ticket and concession discounts along with other exclusive benefits for just $8.99 per month. Guests can sign up at www.cinemark.com/movieclub.